Cool as a Cucumber. We know - sometimes, the last thing you want to do at the end of a long day is take off your makeup. Celadon Road's Cucumber Eye Makeup Remover rewards your effort with the cooling, de-puffing natural properties of cucumber. Just apply along with a bit of water and remove with a gentle cloth. See? That was easy. Ingredients: water (aqua), kosher vegetable glycerin, organic cocosnucifera oil(coconut), organic simmondsiachinensis seed oil (jojoba), organic cocosnucifera extract (raw coconut), organic cucumis sativus juice (cucumber extract), emulsifying wax, stearic acid, tocopherol(vitamin E), potassium sorbate, gluconolactone, sodium benzoate and calciumgluconate. 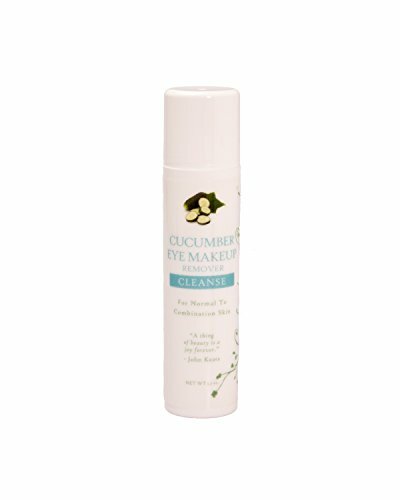 REMOVES MAKEUP with the cooling, de-puffing natural properties of cucumber. HYDRATES AND MOISTURIZES as it removes all cosmetics including foundation, eyeliner, eye make up, mascara, blush and othr face makeup. NO HARSH CHEMICALS OR SULFATES, SLS, SLES, SCS, phthalates, triclosan, formaldehyde, salicylates, parabens, phosphates, petroleum, animal by-products, fragrance, perfumes, dyes or other toxic ingredients.